America today is fighting a war against a formidable enemy on our home soil: obesity. That over two-thirds of the population of America is either obese or getting there represents an alarming problem that needs to be dealt with. Unfortunately, for many of us, we simply can’t get away unless we stop working altogether. 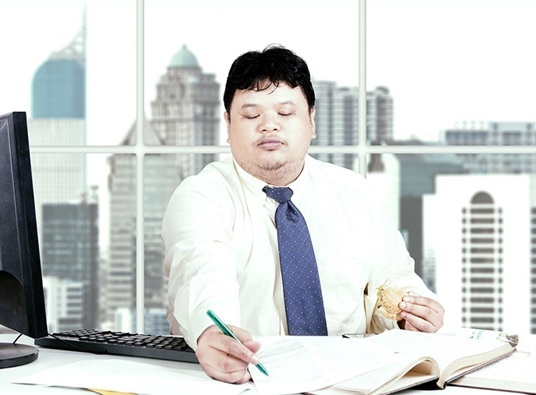 A recent CareerBuilder survey reveals that there is a strong connection between on-the-job stress and overweight workers. Will a virtual office space from Connecticut Business Centers help push back the tide and win this battle of the bulge? We think so. The main problem (and excuse) most of us give is the lack of time. With the nine-to-five life and its demands greatly preoccupying us, the question many Americans ask is “Who has time to exercise?” Add to that the fact that snacking is often seen as a very effective means to deal with the stresses of the daily grind, and you have a recipe for disaster. Enter virtual office space in Westport, CT. Businesses that advocate the use of virtual office spaces are often those that allow for flexibility in the time and intensity of work of their employees. The term “virtual” here refers to the fact that, while certain services are located in a single location, much of the work is done in other, nontraditional places. This can mean people are at home, in coffee shops, on the beach, or anywhere else that is personally conducive to them. When you opt for this kind of setup with Connecticut Business Centers, we take care of the little—but still important—things like a prestigious address to put to your name, a dedicated receptionist to handle any and all calls, meeting rooms for when you need to get everyone together, as well as other support services. Meanwhile, your people can be free to work wherever is most comfortable for them. This not only allows for a more relaxed pace with which they can work efficiently, but it also gives you and your people control over their time. And there, as they say, is the rub. Of course, it all comes down to how you manage your own time. The choice to use this time to actually get and stay fit ultimately falls to individuals making the right choices. But the fact that the common excuses—that you’re “too busy” to exercise or that you eat to “fight the stress”—will now hold less weight is a step in the right direction. So if your business model is open to this unique and modern Connecticut office space setup, give us a call at Connecticut Business Centers, and we’ll help you make it happen. We also offer a lot of great extras to support you: from furnished actual office space, team rooms, conference rooms available at any time, videoconferencing, flexible rates, and so much more. Reach out to us, and we’ll get your business—however big or small—up and running in no time at all!